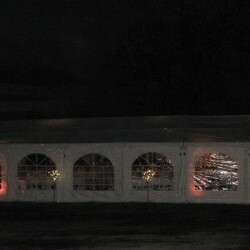 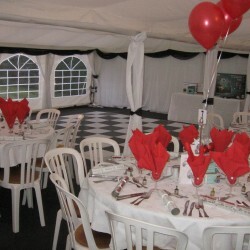 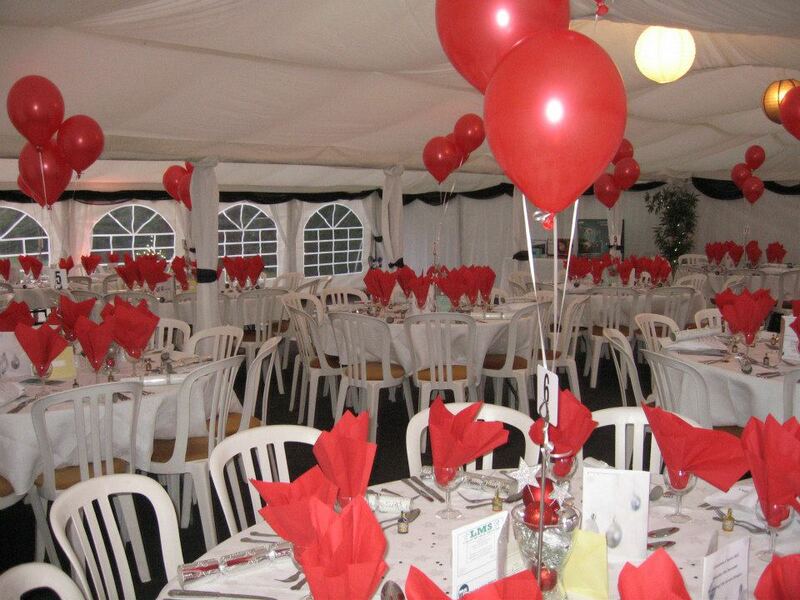 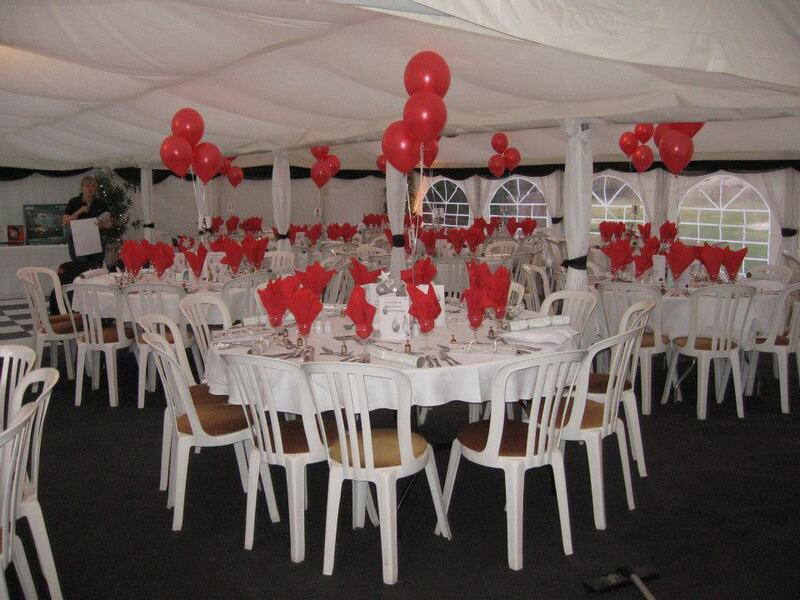 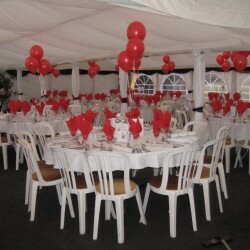 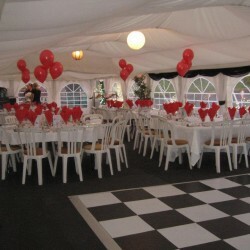 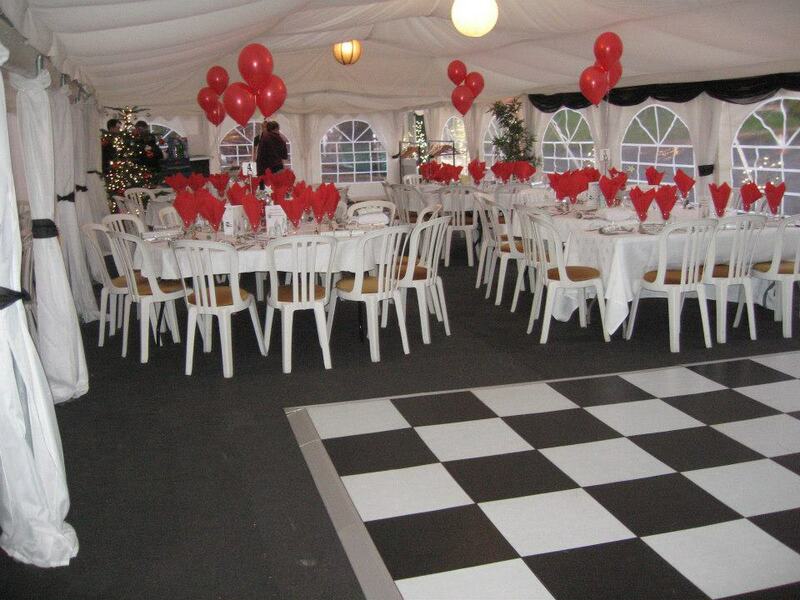 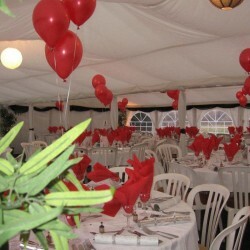 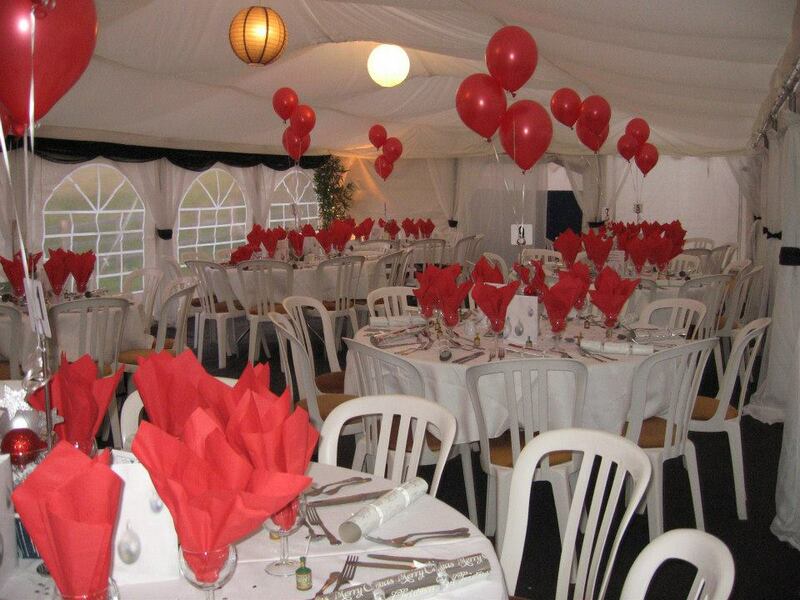 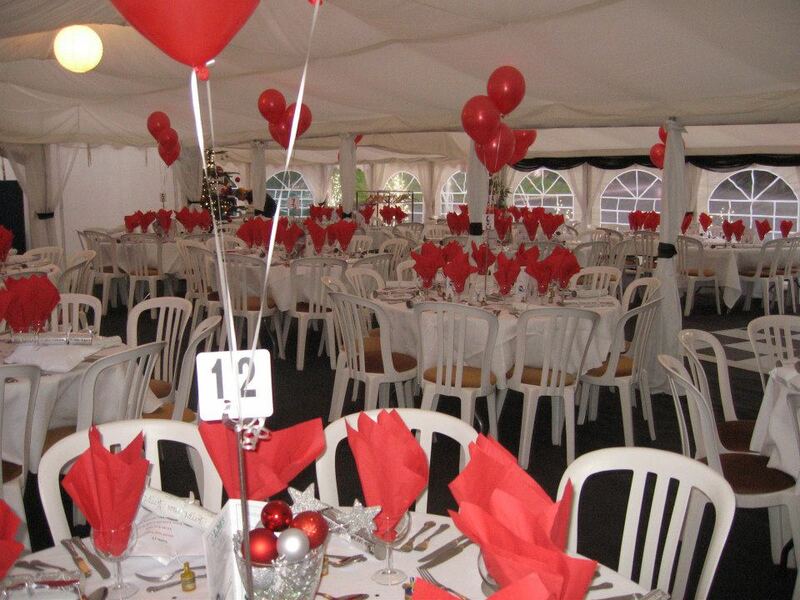 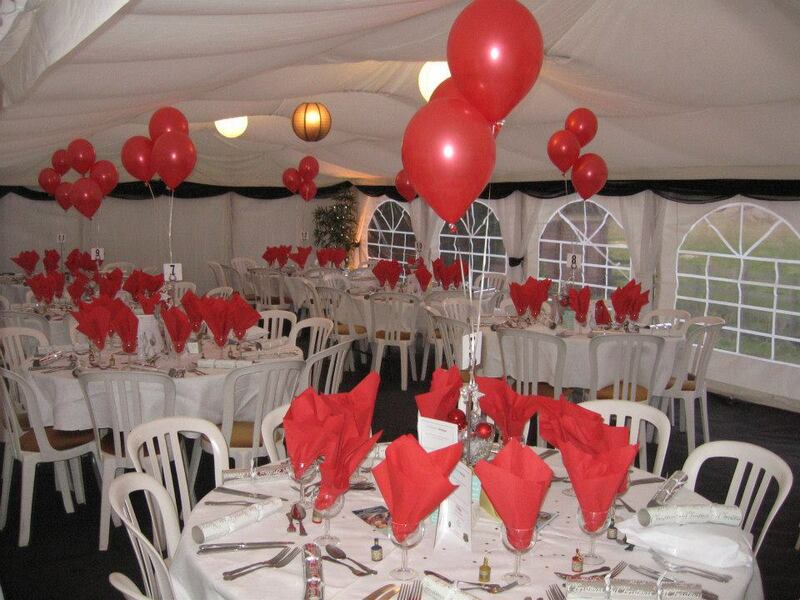 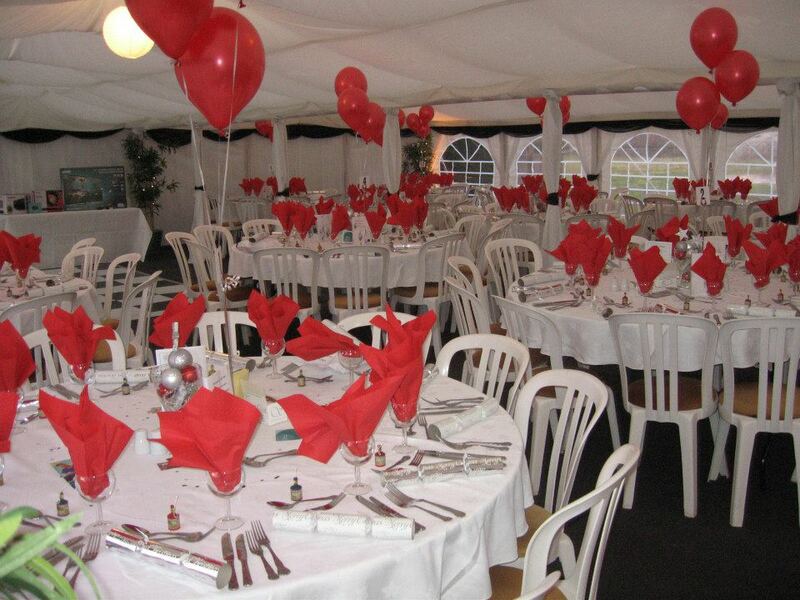 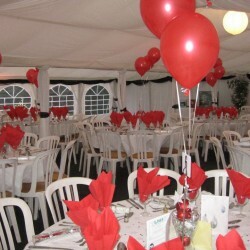 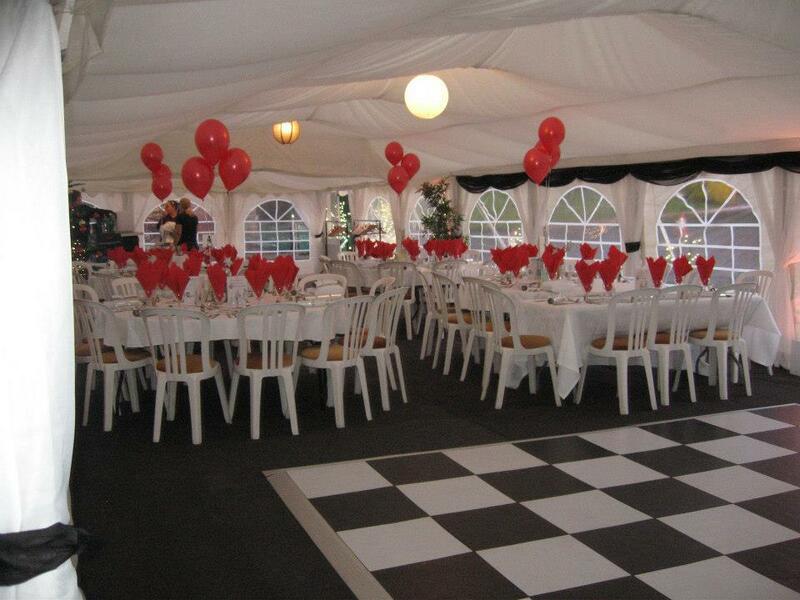 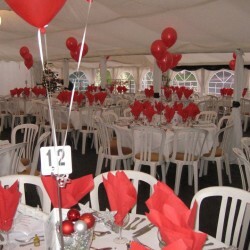 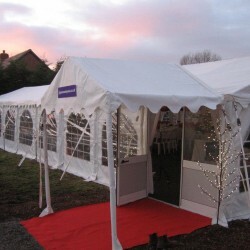 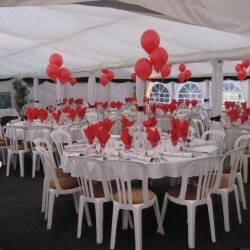 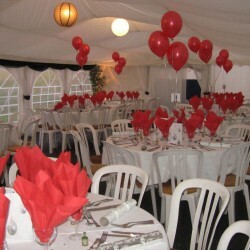 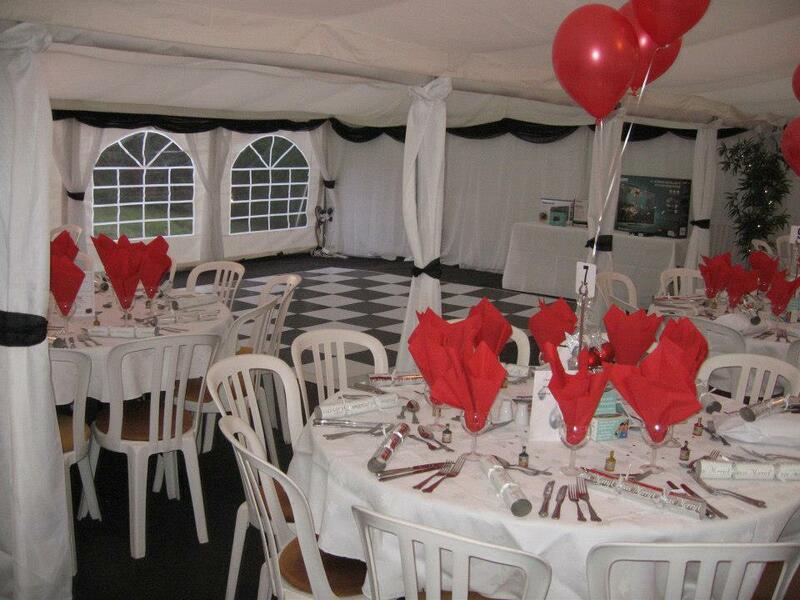 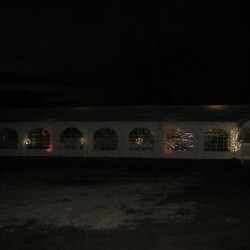 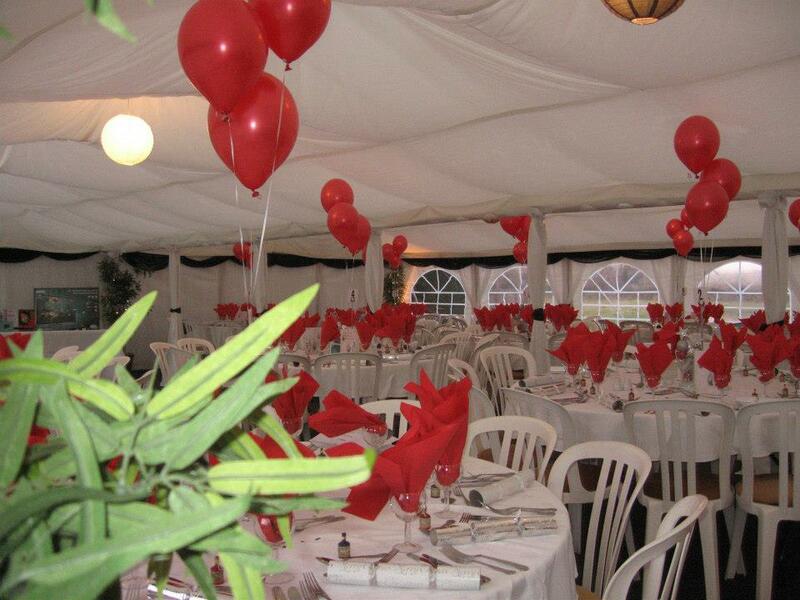 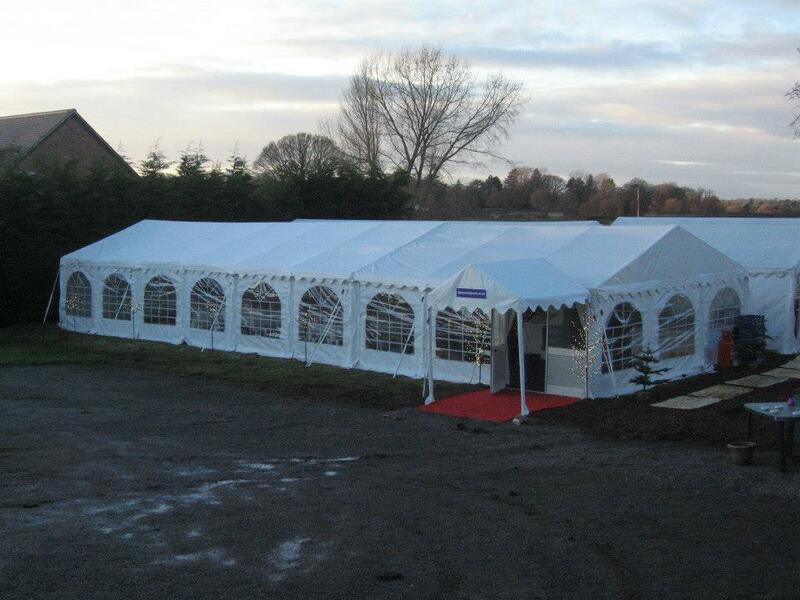 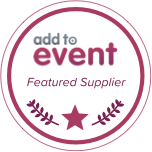 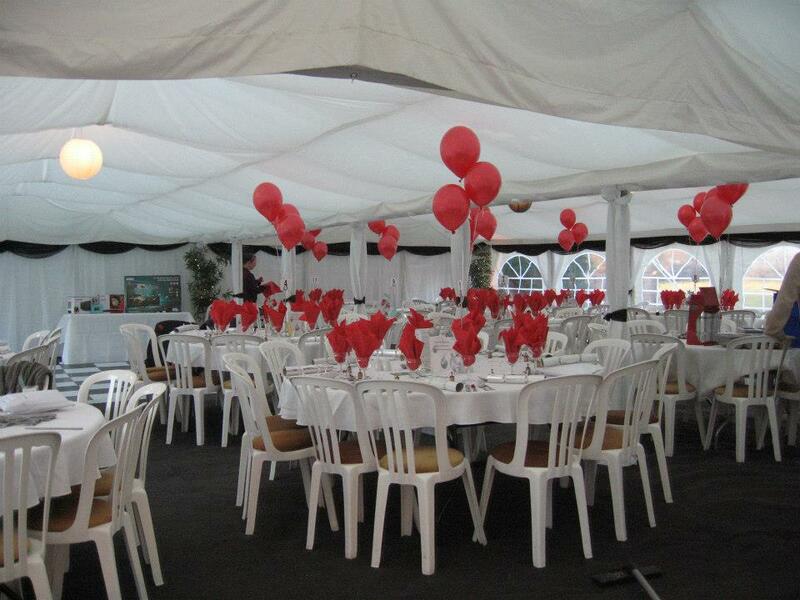 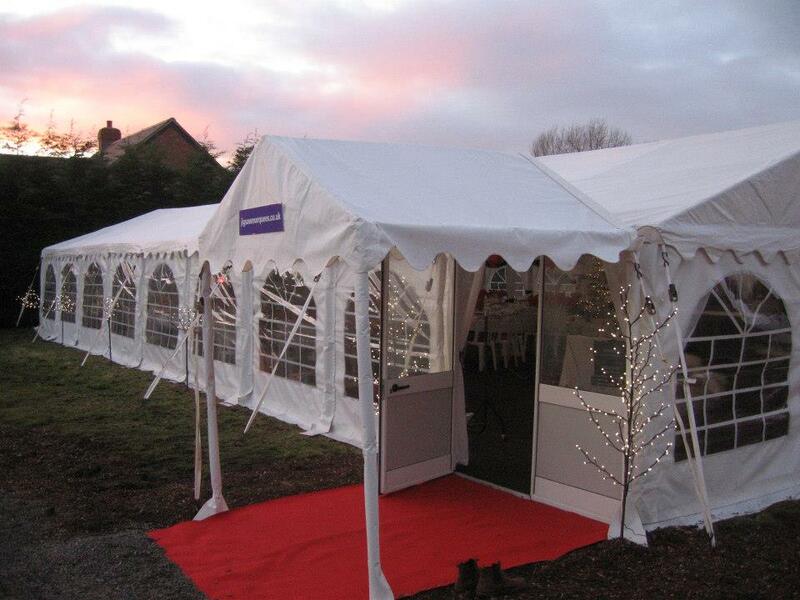 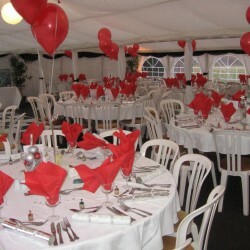 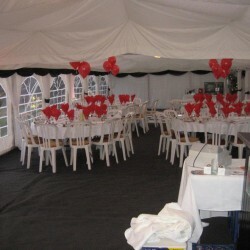 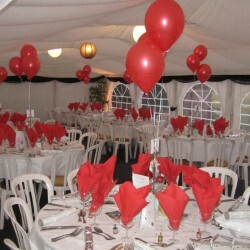 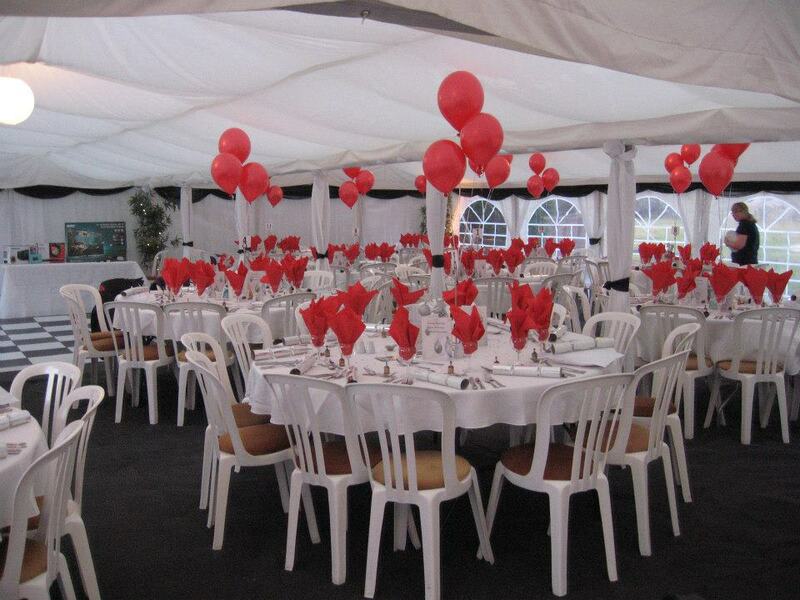 A marquee Christmas Charity Ball for 130!! 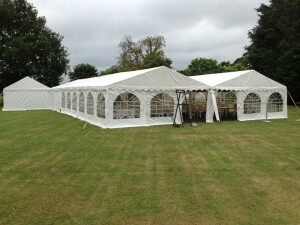 No problem for the Jigsaw Marquees team. 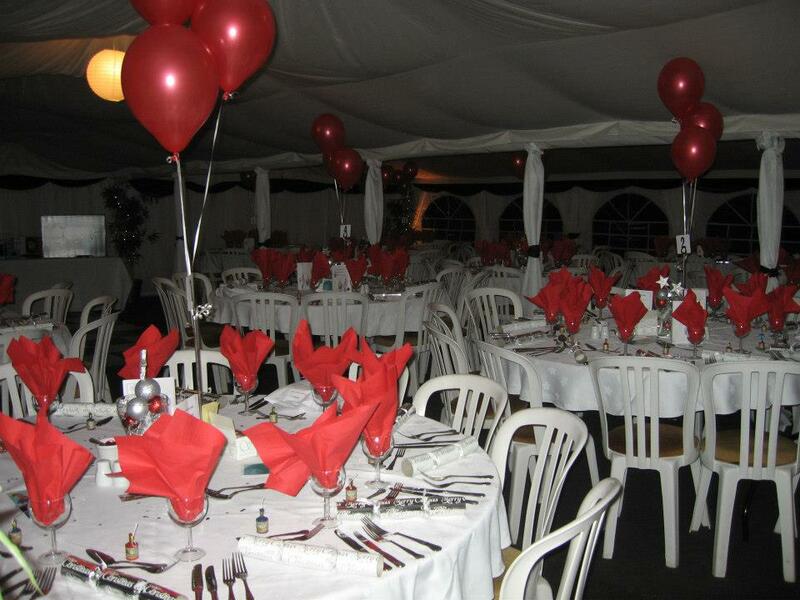 All in support of the Severn Hospice, we teamed up with John Owen and Sue Owen at The Fox Inn, Ryton who hosted the event at their super country pub and also did the catering. 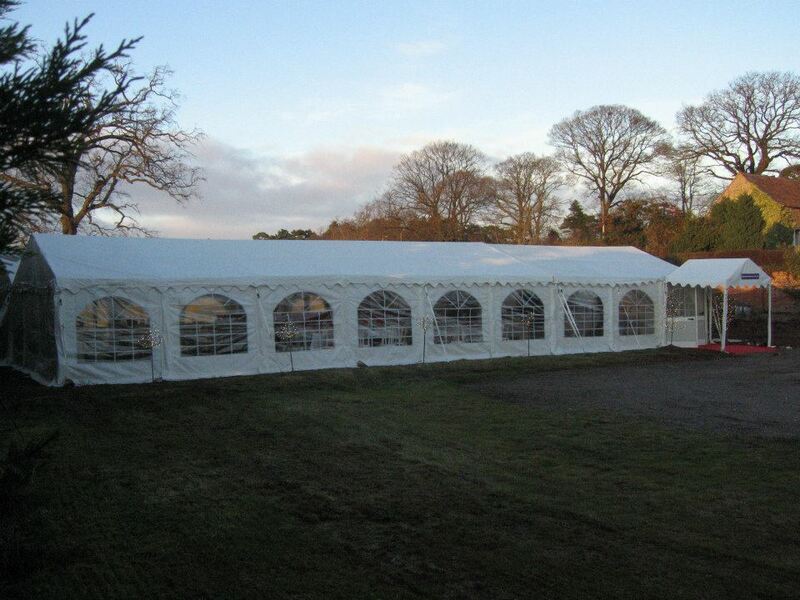 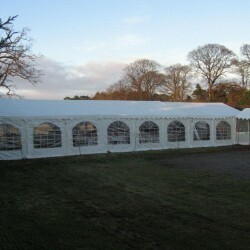 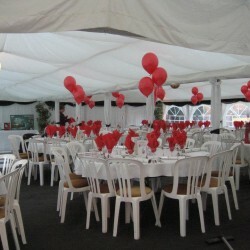 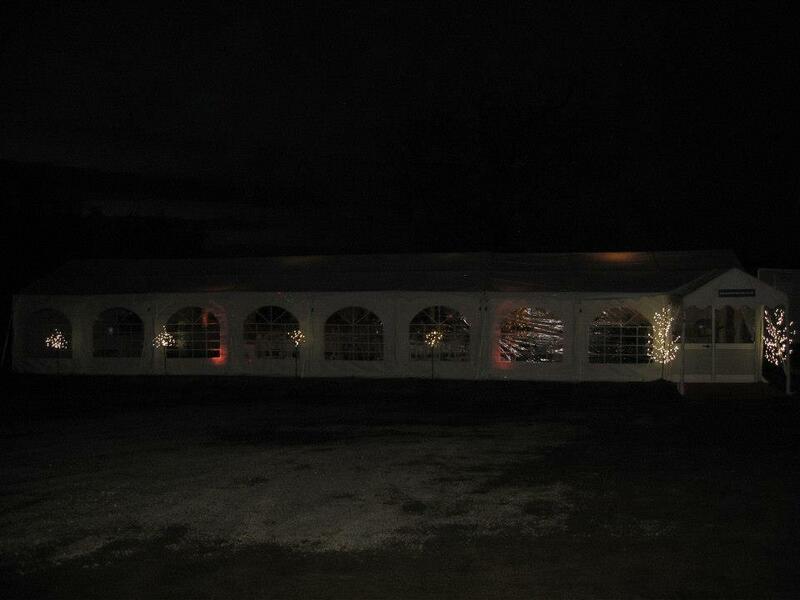 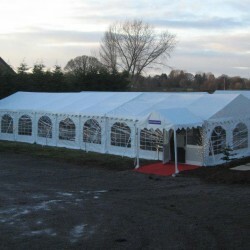 We battled some challenging weather to get the marquee ready but by the Saturday evening all was calm and we were ready to party! 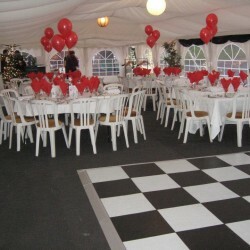 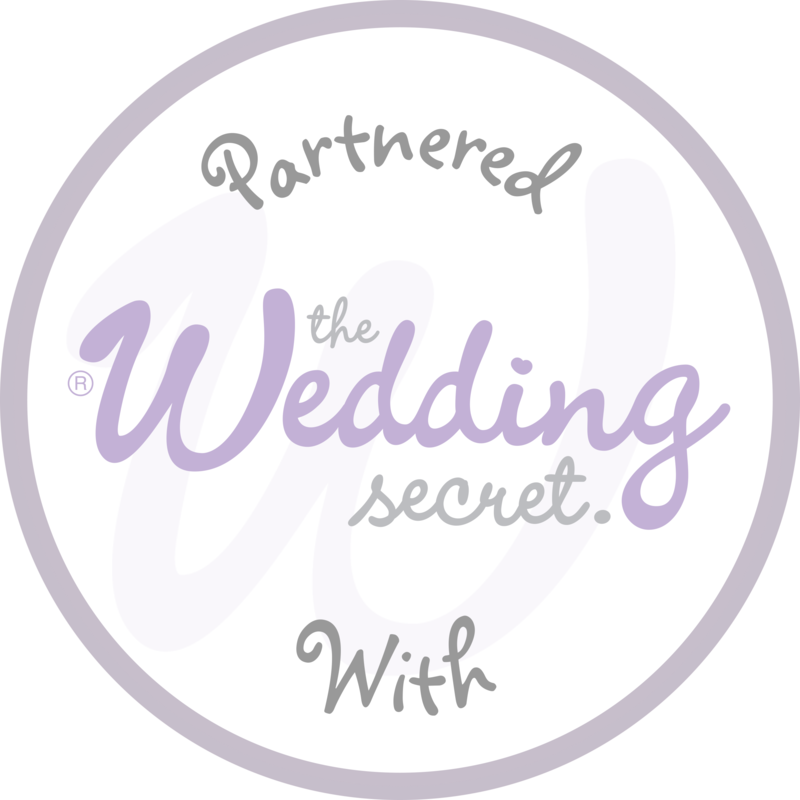 It was a fabulous evening attended by 130 people including the Jigsaw Marquees team -Jackie Corfield, Chloe Corfield, Emma Corfield, Lauren Corfield, Joe Barry and Richard Yeoman. 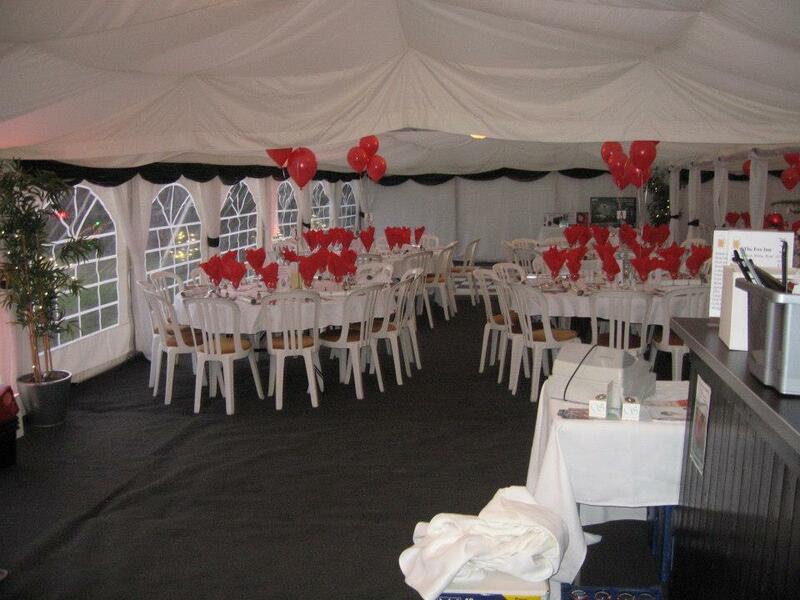 The Jigsaw 180 was a huge success (and a huge marquee) easily accommodating 130 seated and we also added a catering tent for the kitchen area. 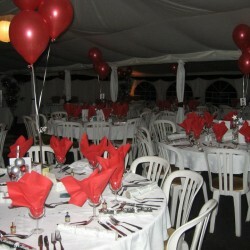 The Fox Inn team did a fantastic job with the food and a great party was had by all! 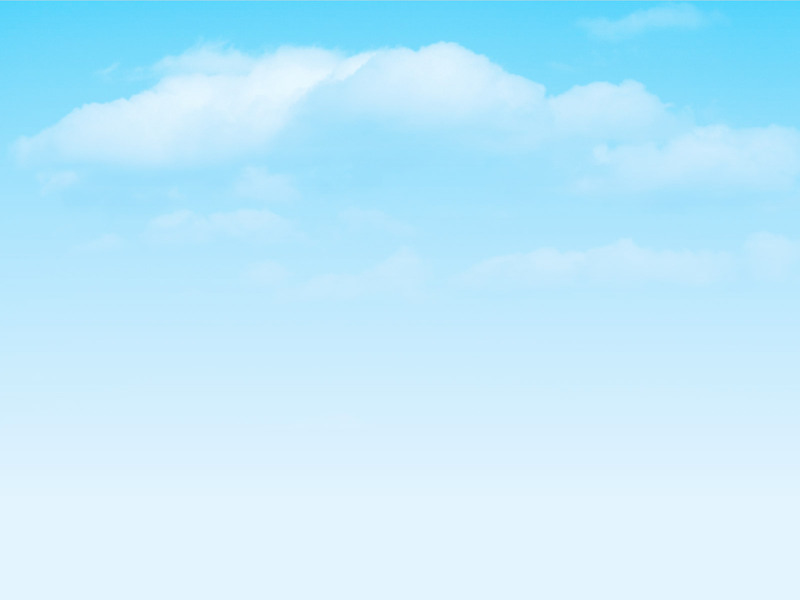 Well done team – we are invincible!